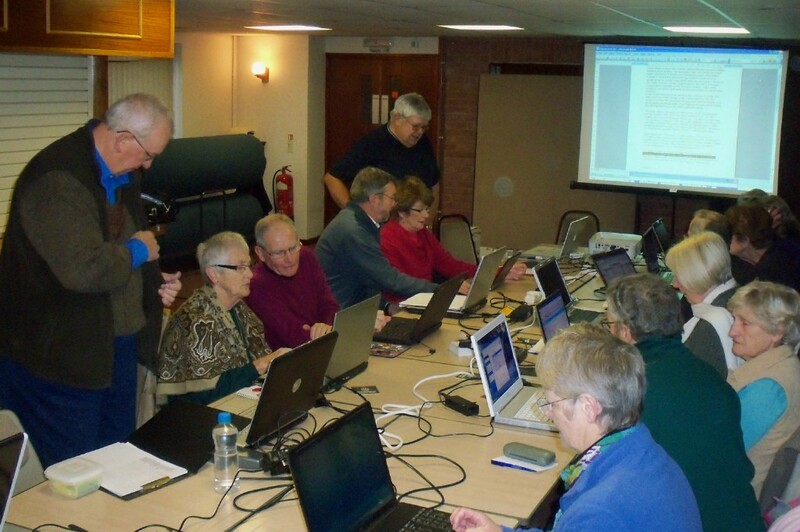 The Computer Club meets on the first Tuesday and third Tuesday of each month between 9:00am and midday at Southwick Village Hall. The gathering is very informal and we do have coffee and biscuits at half time. The venue has Wi-Fi for those of you who wish to bring your wireless connected laptops, tablets or smartphones. The form and structure of the meetings is evolving and adaptable according to need. There is support from the experts on hardware, software and all matters related to computers and their use. There are also regular talks and tuition depending on what is required. Members predominately use various versions of Microsoft Windows but we welcome all computer users regardless of operating system. A significant number of our members use Apple Mac computers so we have set up a separate group to cater specifically for their needs. See the Computer Group – Mac page. The Southwick Village Hall is located on Frome Road, Southwick, BA14 9QW approximately 150 metres west of the original Southwick Car Centre Garage and immediately next to/behind the new larger Southwick Car Sales Centre. The Hall has a car park at its front and rear and it is also located on a number 234 bus route, which leaves from the bus stop outside Trowbridge Town Hall. Please contact the Groups Co-ordinator for more information.